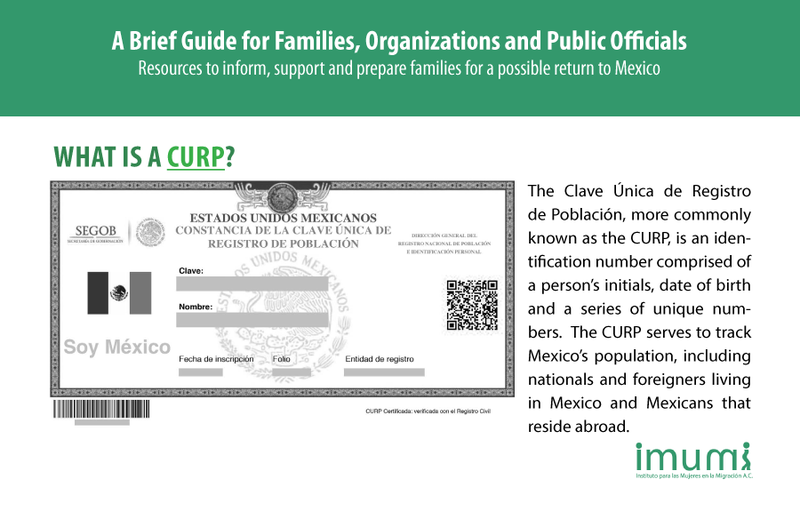 In February 2017, a new wave of ICE raids began across the United States, leading to the deportation of hundreds of Mexican people including family members living in the country for more than 20 years and parents of US citizen children. 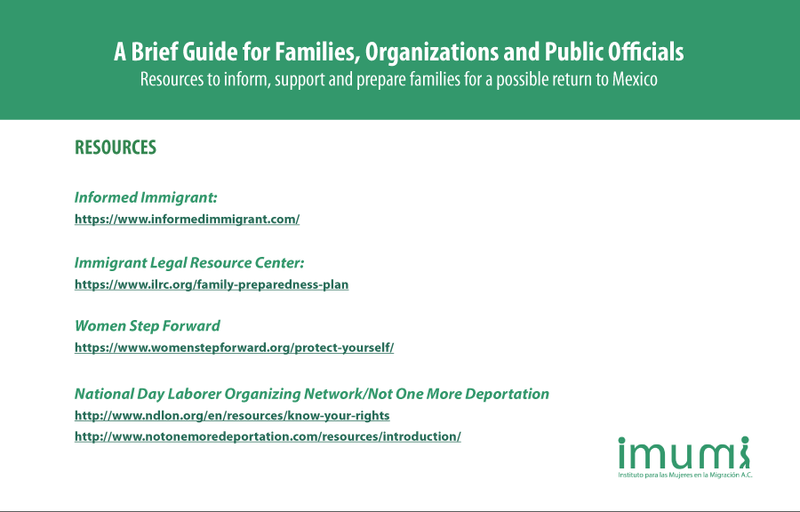 These raids are the first actions taken by authorities based on the Executive Orders released on January 25, 2017. 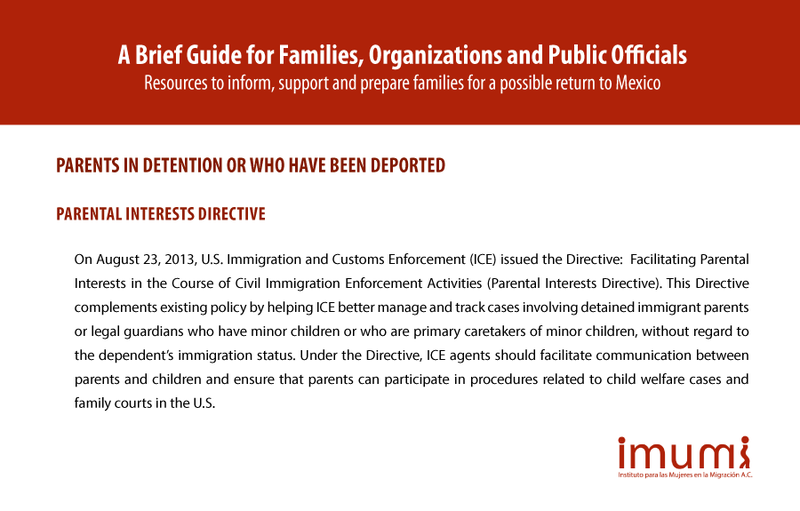 These Executive Orders mandate immigration authorities to detain and deport undocumented people that have committed, or have been accused of committing a crime. 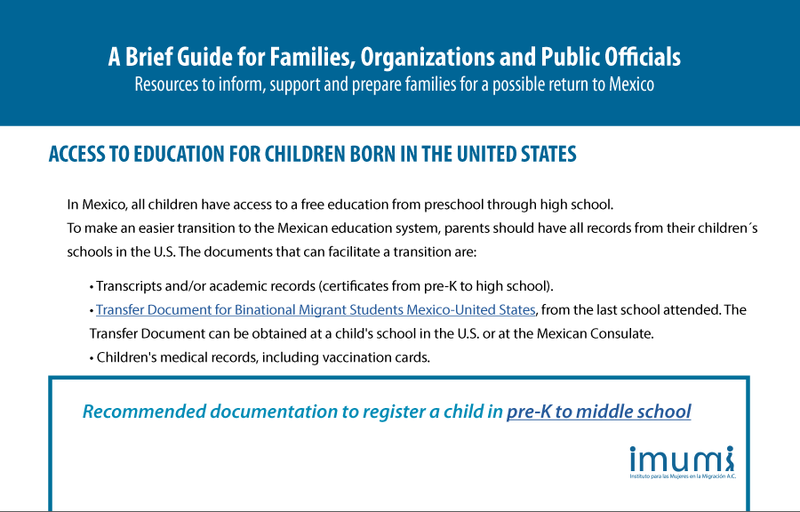 With such a broad criteria, the majority of the 5.5 million undocumented Mexican people currently living in the United States, now fall within the new deportation priorities. 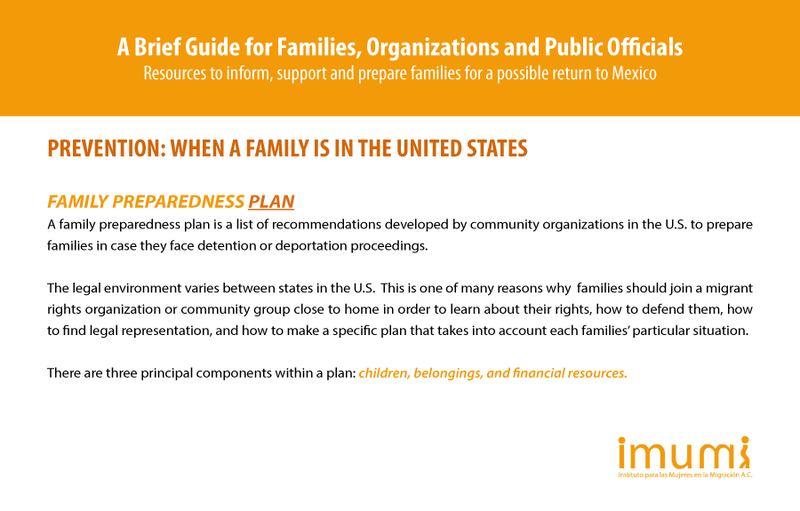 However, due to the limited capacity of ICE authorities, as well as the legal defense and social resistance from organized communities, massive deportations are not likely to happen. However, confusion and fear in communities is widespread. 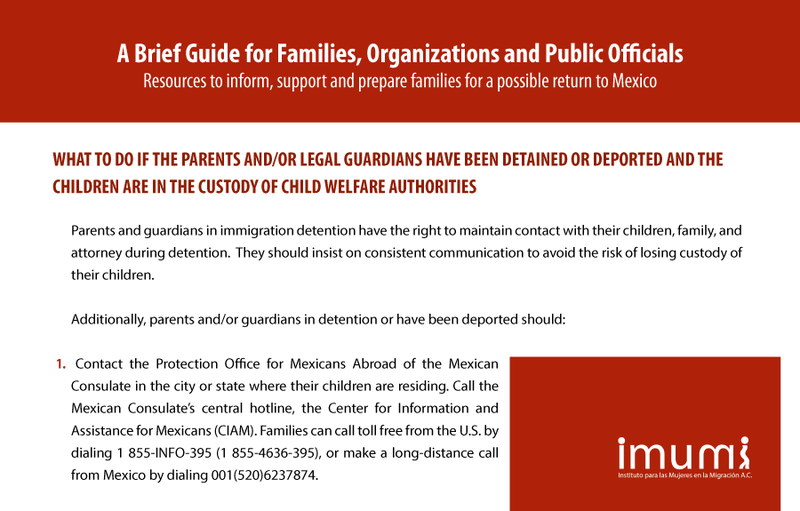 The Institute for Women in Migration (IMUMI) joins the actions taken by civil society organizations and many local governments in the United States against deportations, family separation, and forced return migration. 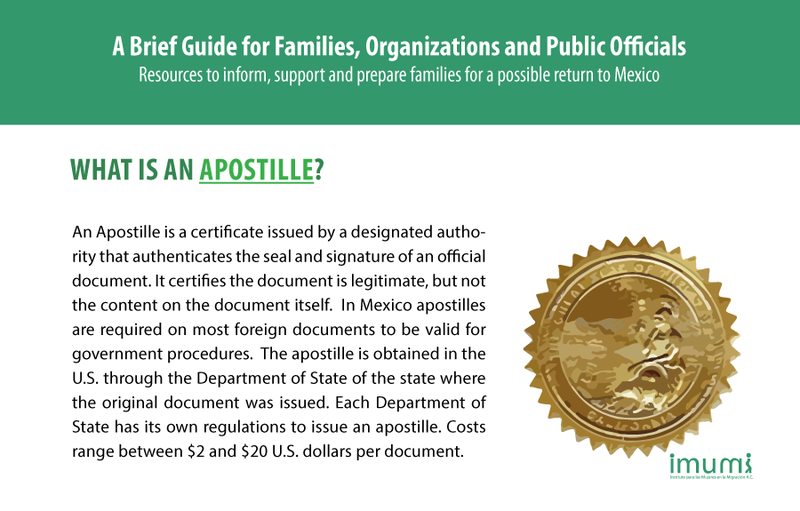 In the face of uncertainty, it is important to be informed, obtain necessary documents, and prepare families for a possible return to their country of origin, whether it’s involuntary or voluntary. 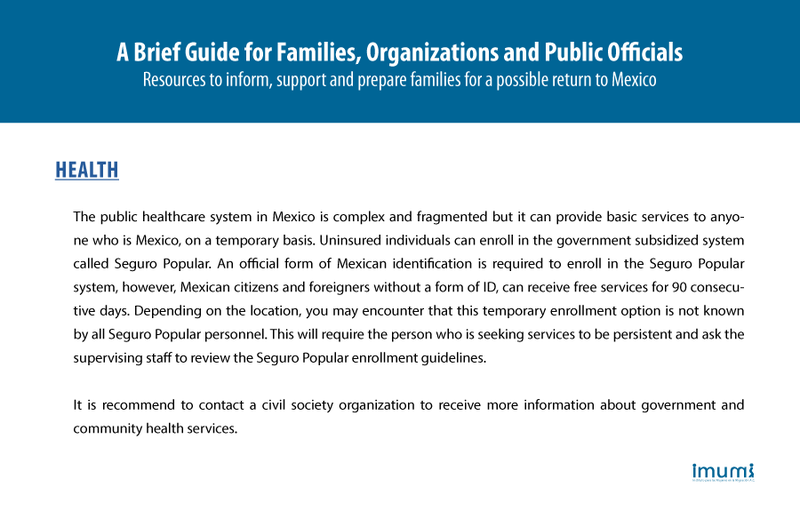 This newsletter explains key bureaucratic procedures most families face during a return to Mexico. 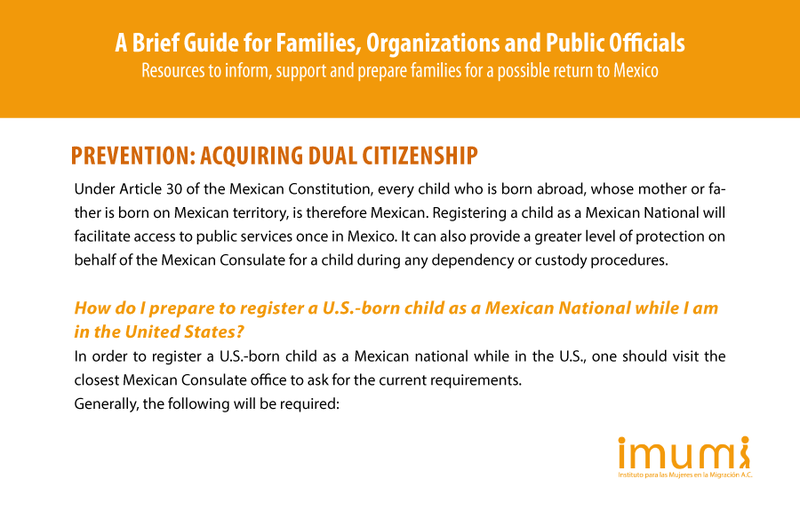 It includes recommended actions to take in order to avoid family separation and guarantee access to rights and basic services in Mexico. 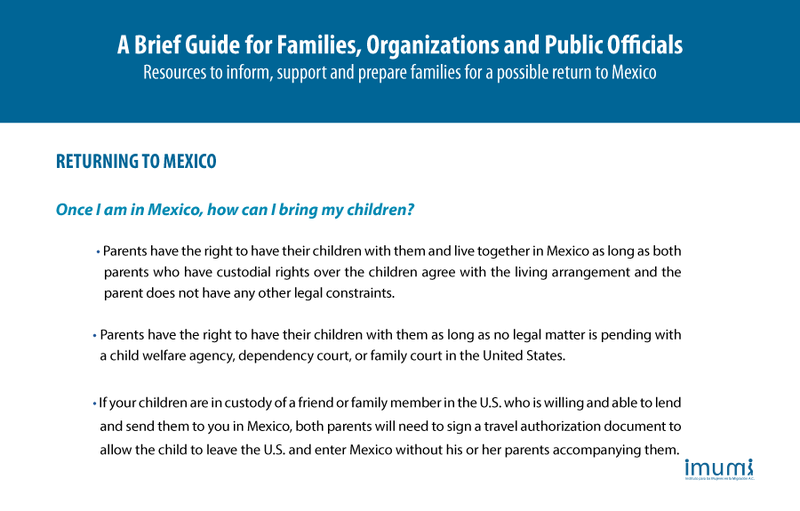 HOW CAN I BRING MY CHILDREN?